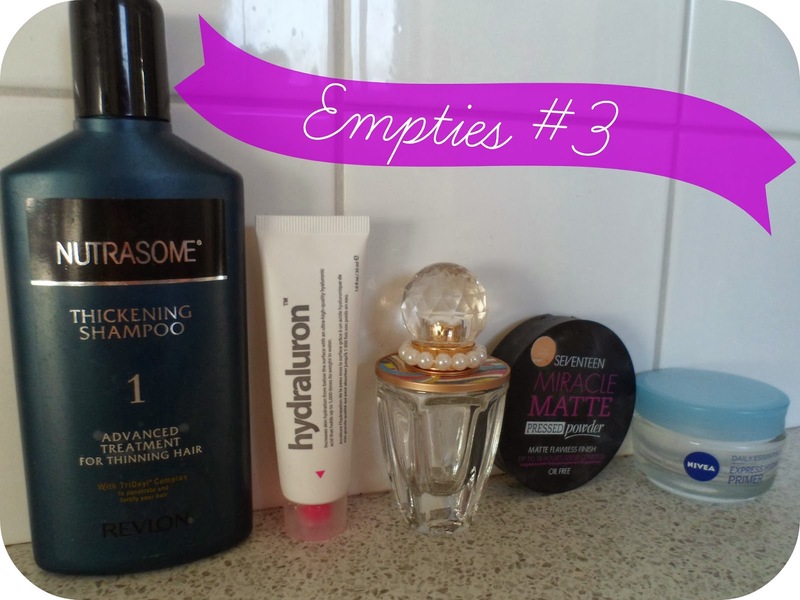 Another Empties post for you lovelies today! 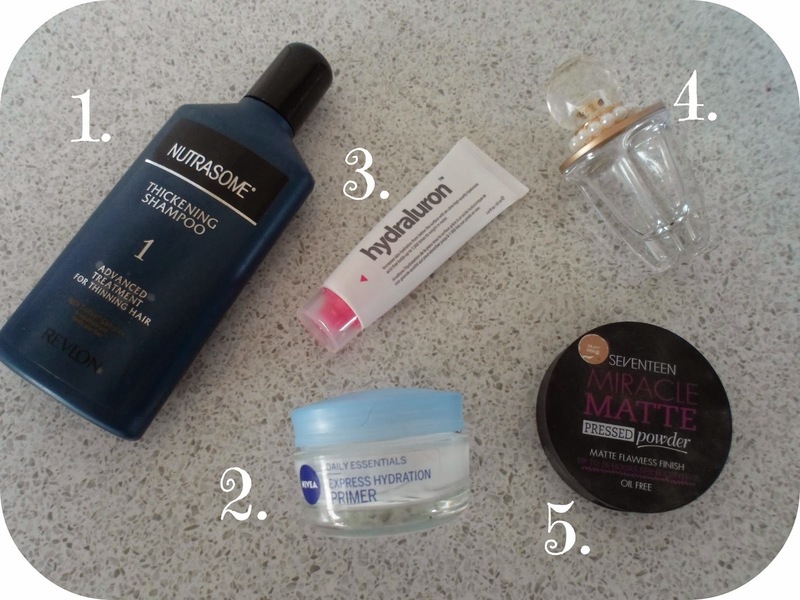 I feel like it has been ages since I have done one of these - and I'm sure since then I've been through a good few products but here are a few I've saved to share with you all... because I love them! This shampoo was mentioned in my January Favs and I just finished the bottle last week! Although like I said there, the smell is a little masculine - this stuff has actually worked. Since writing my Jan Favs I have actually been to my hairdresser and she even commented on how thick my hair was feeling compared to the last time she saw me! I think I'll definitely be re-purchasing this stuff! I got it from Boots and I think it was about £8.19! This stuff is a god send. I so so glad I picked it up last year! I use this every morning after using my Liz Earl Skin Tonic. It gives a great base for make-up (although most day I do wear a simple primer as well as this stuff!) and keeps my skin feeling smooth and hydrated without getting clogged up or greasy. I already have another one of these on the go - I highly recommend this, it is a fab daily moisturiser and under £5! Another hydrating product? Why yes it is! I gave into the hydra-hype and coughed up the £20ish it is for this little tube! But I have to say I am glad that I did - this stuff made my skin feel smooth, silky and plump aswell as getting rid of the couple of dry patches that randomly seemed to appear this winter. Right now I'm, of course, on a spending ban, (sad times) so I can't afford to buy a replacement tube - but maybe somewhen (that's an Isle Of Wight word that you guys have probably never heard!) in the near future U'll be able to invest again! I'm a huge Swiftie - duh! So obviously I own this! I love it and it probably took me about 5months to use this 30ml bottle (I'm always changing up my perfumes!) so I bought another one in the xmas sales (which you probably saw in my Boots haul - total bargain) so don't worry I'm not without! Previously I've never been one for powders - but putting one over the top of my liquid foundation to set it has become an everyday occurrence now. I love the finish it gives my skin and being a matte powder this helps banish any unwanted shine I may have! It takes alot for me to hit pan with products as I change them up alot so this is proof that I am addicted - I need to buy a new one asap, my daily routine wouldn't be the same without it! Congrats on posting your 200th post! I really want to try Hydraluron! The Hydraluron sounds great! During winter I always get these dry patches.. eek hate it!